MEMPHIS – A joint investigation by the Tennessee Bureau of Investigation and the Obion County Sheriff’s Department has resulted in the arrest of a Union City man in connection to a homicide over the weekend. At the request of 27th District Attorney General Tommy Thomas, TBI Agents joined the investigation into the death of Pedro Ernesto Arriaga, shortly after Obion County deputies found the body of the 43-year-old in his home in the 5200 block of Ken-Tenn Highway in South Fulton. As Obion County detectives and TBI Special Agents gathered relevant information and interviews, TBI Special Agent/Forensic Scientists processed the scene to collect and document relevant evidence. The collective effort subsequently led to Thomas Christopher Morton (DOB 10-19-84) as the individual responsible for the crime. On Wednesday, authorities arrested Morton and charged him with one count of Criminal Homicide, one count of Especially Aggravated Robbery, and one count of Tampering with Evidence. 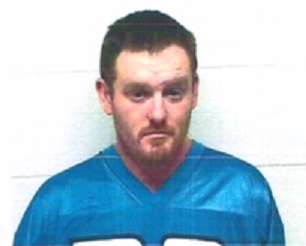 At the time of this release, Morton was being held in the Obion County Jail without bond.